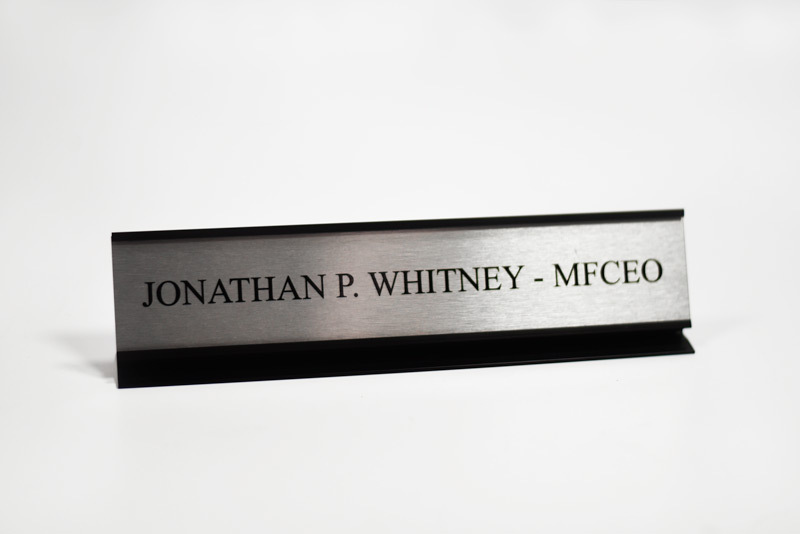 2" high polished metal desktop sign holder with custom metal name plate included. 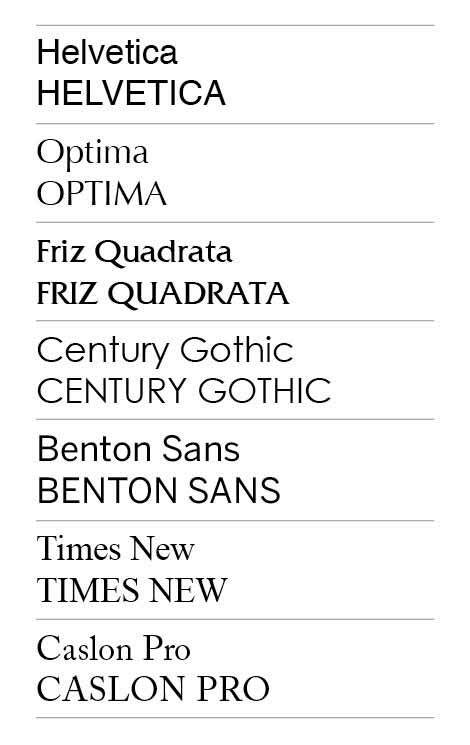 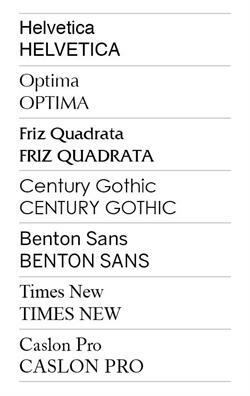 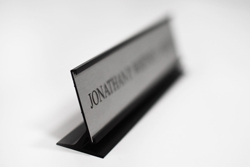 Available in 8" or 10" long desk sign size. 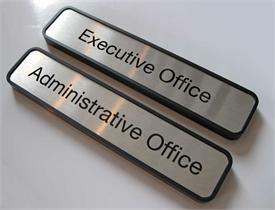 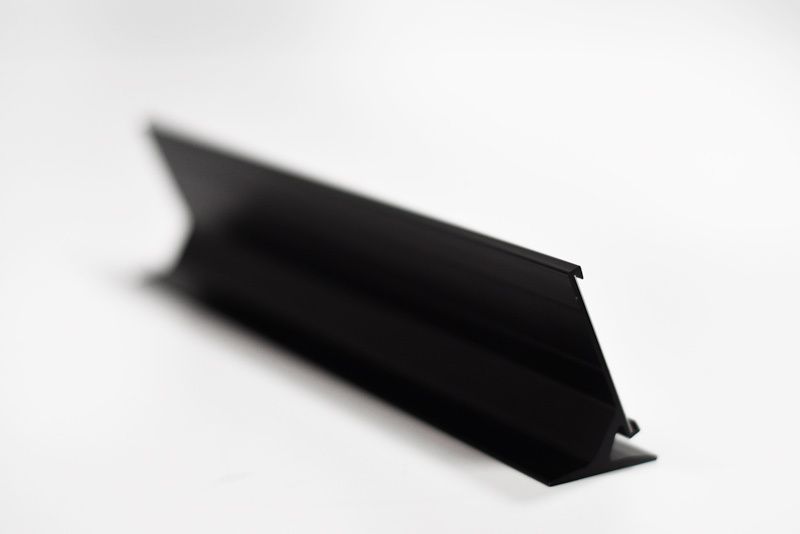 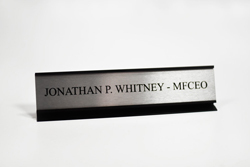 Our office nameplate blanks can been customized to read Employees Only, Waiting Room, Employee Names, Receptionist, etc, etc - at no extra charge. 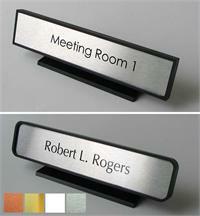 Simply choose your sign colors and sizes and add any text you can imagine to personalize your desk office sign. 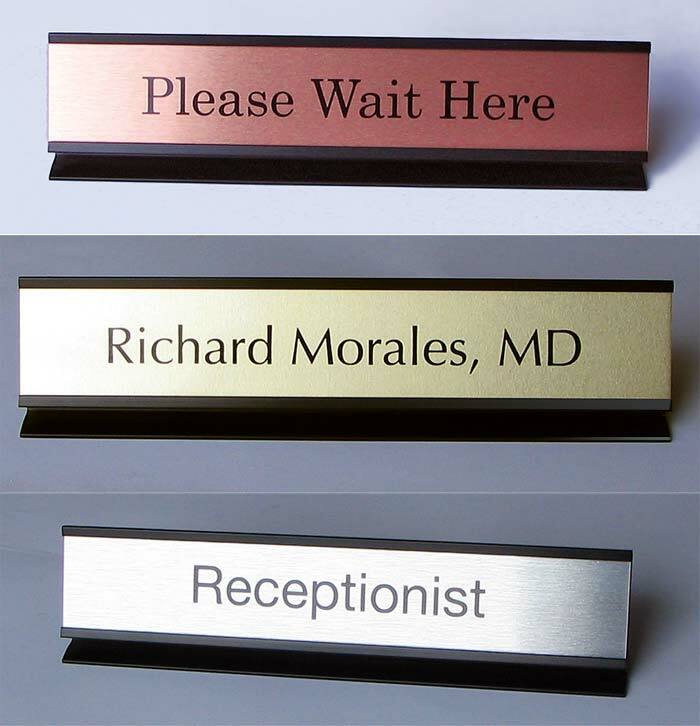 Nameplate colors available in brushed silver, gold, copper and also in white. 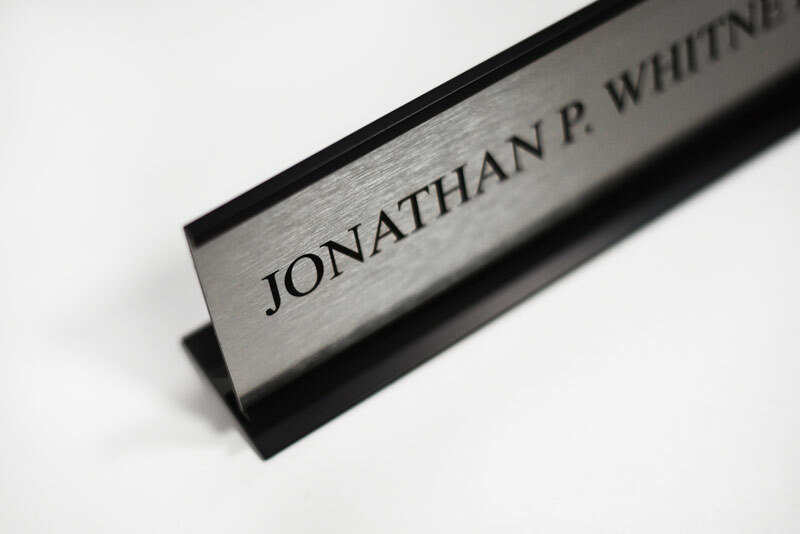 With the white nameplate blank you can print any color, graphics or logo on this material. 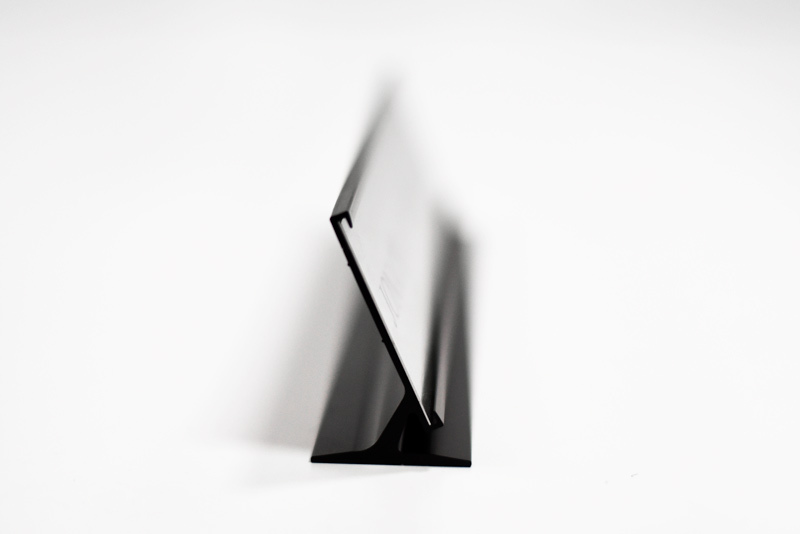 Desktop frame with built in stand. Available in a variety of colors.